Vanto Group (VG) is a boutique global consulting firm distinguished by the extraordinary track record of our clients. We partner with clients from the private, public and non-profit sectors to address their most critical challenges and transform their organizations. Our approach to business transformation is results-focused with key emphasis on high performance culture, velocity and sustainability. We go beyond traditional consulting, employing our new paradigm of performance to create an aligned organization for our clients. Whether driven by a sense of untapped potential or challenging circumstances, our clients have the courage to lead, taking on new levels of coordinated action that deliver unprecedented business results and an exceptional quality of life for their people at work. 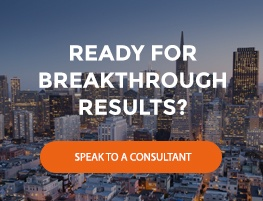 Ready to create breakthrough performance in your organization and your life? This guide focuses on a blueprint for these important conversations. “Leadership: Inventing the Future” is a three and a half-day program designed for business executive teams, government executives, entrepreneurs and organizational leaders to explore what is really possible in achieving unprecedented business results.